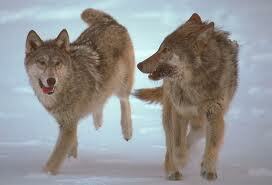 The Story Of Two Wolves - Something New Everyday! You might have heard the story about the two wolves. If not, here is the refresher. The old man told his son that a battle between two wolves inside each one of us goes on all the times. First wolf is the Evil character wolf; it produces germs of anger, envy, sorrow, greed, arrogance, stress, lies and tension in our minds. Whereas, the second one is Good character wolf; it generates the energy for hope, peace, happiness, truth, generosity and ethics in our mind, heart and soul. The son asked, so who wins the battle? The old man replied, the one which you feed more! The story has a superb driving force motivating us to do our self audit. The question is that which wolf we feed daily and how much? If we surround ourselves in negative character people, do back biting, leg pulling, learning tricks to deceive people and talk pessimist events or ideas then definitely we are strengthening the Evil Wolf. On the contrary, if we spend our times with nice and positive people, read good books, focus on solutions, and assist people in resolving their problems then we are encouraging the Good Wolf to overcome the Evil one. In the long run, the Wolf represents our character because eventually our character gets molded either in to a Good Wolf or Evil Wolf. A very nice story, well worded, with clearly thought out plan, and finally an excellent reflection!